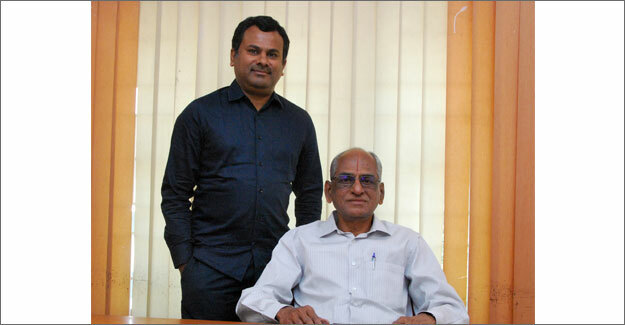 “Our motto is to supply quality yarns as desired by our customers and Savio automatic winders help us in doing so”, said S. Aravind, Joint Managing Director of Pongalur Pioneer Textiles Pvt Ltd. Established in 1991 by V.Selvapathy, Chairman and Managing Director, father of S.Aravind, Pongalur Pioneer had a humble beginning with 2,800 spindles. A passionate and open-minded management along with young and energetic staff transformed a traditional mill into one of the most modern mills in South India. A steady expansion with 11,000 spindles added in each phase, has led to the mill growing to a 114,000 spindles unit, spinning Ne 68’s to 105’s combed compact yarn. Pongalur Pioneer is moving towards complete automation and digitalisation for achieving higher productivity, reducing imperfections in yarn quality and for superior strength of the yarn (compact). It allows the company to produce contamination-free yarn, which every buyer prefers. In pursuit of quality, Aravind has always relied on the best available technology. “Quality consciousness began from the project state itself and investment in modern sophisticated machines from world-renowned manufacturers like Savio was a part of our thought process. At present we have 13 Polar machines working on various counts,” he said. Savio has been a part of the journey of Pongalur Pioneer from the beginning. The mill also has Truetzschler blowroom, cards and draw-frames and Lakshmi Ring Frame with Suessen compact. Pongalur Pioneer’s aim is to supply yarn to top bed linen manufacturers in the world, and to be known as the producer of highest quality compact yarn. Both V.Selvapathy and S.Aravind also said that A.T.E. is doing an excellent job, and they appreciated the approach of its sales team in suggesting appropriate technology solutions to meet the quality demands of the mill.